Grey with taupe and peach pink flowers and leaves. 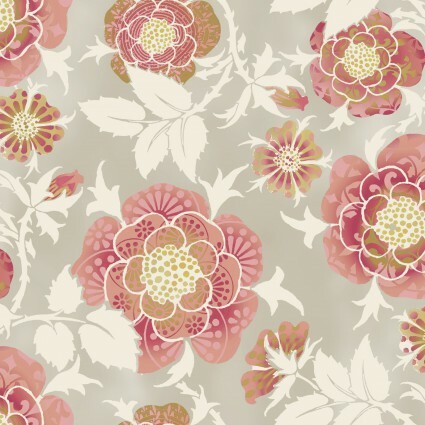 From the Bohemian Manor 2 collection by Jason Yenter for In the Beginning Fabrics. 100% cotton. 44"-45" wide.